Project management can be as simple as arranging a small event to a complex affair that involves creating new businesses, products and services…and to keep those businesses and their products and services going and growing. The following top 30 Web forums for project management (PM) professionals might help you learn more about how the professionals handle small to large projects. Some of the forums, or virtual communities, are generalized and others are specific to a given trade or PM software program. All PM Forum: Register to take part in this discussion among project managers from all over the world. Active forum areas include career and job talk, help topics, software and tools, certification, best practices and methodologies. Planning Planet Forum: A popular forum, where the “best planners, schedulers and project controllers network.” Topics include planning, scheduling, programming, forensic claims, risk analysis and resource usage. PMForum: PMFORUM is a resource for information on international project management affairs. The PMFORUM supports the development, international cooperation, promotion and advancement of a professional and worldwide project management discipline. Project Management Discussion: There is a great deal of depth to this site – both in the forums and in the many other sections of the site. Please take your time, explore, learn, contribute. Project Management: Networking, Forum and Jobs: You must join LinkedIn to become a member of this group. Currently, this network contains 410,000+ members, with keywords including training, education, certification, job, career, human resources and more. 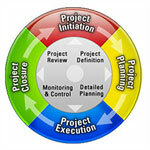 Project Manager Blog: This link leads to the forums site within the blog. You can follow the forums with a group RSS to follow discussions on PM software, project management training and resources for career advancement. Project Manager Jobs Forum: Indeed sponsors this forum, which focuses on jobs, interview preparation, resumes and other tips and tools that can help you land a job in this career path. Project Managers: This is a community that offers blogs, event calendars, job opportunities and the ability to join groups or to create your own group. These groups replace the usual forum format. ProjectsCenter Project Management Forum: You can enter discussions about management software, construction projects, jobs or learn about calls for papers at this broad-range project management forum. Australian Institute of Project Management: AIPM members can participate in forums and gain access to other member-only areas within this Web site. Project Management Club: Join Ecademy for exclusive business networking with other project managers.Ecademy is a membership organization for entrepreneurs and business owners who belong to a community that connects, supports and transacts with one another. Project Management Community of Practice: Although you may not be able to participate in this Centers for Disease Control and Prevention (CDC) PM community (unless you are an employee), the information gathered by this group is available for anyone to read. Project Management Knowledge Base: PMKB is a community of project planners and managers sharing experiences and knowledge. With free registration you can respond to polls upload content, review books or software and gain access to other special features. Project Management Professional Community: This is a private members site for project management professionals filled with educational project management materials, news and information. Project Risk Management Community of Practice: This group enhances the project risk management practice and its contributions to effective project management by developing a forum for networking, knowledge content and active practitioner engagement. Project Times: Project Management Times is a popular online resource dedicated 100 percent to project management. They focus on providing project management education through articles, blogs, white papers, online training, books, jobs and community. The ICPM: More of a community than a forum, the International Community for Project Managers is a free collaborative Web presence that provides project management information, resources and the opportunity to meet and network with peers, engage in meaningful discussion and generally keep up with what’s happening in the profession. ASAP Methodology and Project Management: Ask your questions and share experiences around the use of the new ASAP Core and Business Add-ons. Clarizen Work Management — Community: This link leads to the forums within this site, which is dedicated to project managers who use Clarizen. You also can tap into tutorials, blogs and training through this site. Engineering Project Management Forum: if you have project management questions or answers and you are an engineer, this forum may help your quest. The careers range from aeronautic to structural engineers, and topics include methodology, corporate survival and trends and strategies. Gantthead.com: This link leads to the forum at Gantthead, the online community for IT project managers. The forum is fairly well populated and filled with queries and answers about projects, risk management, the CAPM exam and other relevant topics. 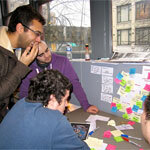 IT Project Manager Jobs Forum: Another Indeed forum, specific to IT project managers. Most of the topics concern getting a job rather than job offers. Prince 2 IPMF: This International Project Management Forum serves and an interactive open resource to support Prince 2 and project management in general. The portal includes a wide range of facilities, including an FAQ, directory and download area. 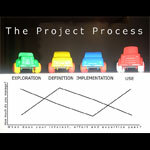 ]project-open[ — Project Management: Join the discussions about project management within the open source community. This forum is sponsored by SourceForge. Smarter Tools: Register to participate in forums specific to managing communication tools and statistical Web projects. The forums are active, and the most active topic concerns SmarterMail. Tek-Tips Project Management Forum: This link leads to the project management forum under project and data management. The forum is low volume, yet good quality, with great questions and intelligent ideas that could help you with your IT projects. Telerik Team Pulse: An interesting view into a team-run forum based upon management of a wide variety of developer tools. The board is active, mainly with general discussions. The SAP Fan Club Forums: Sometimes you can meet the very best in your field by visiting the most well respected and utilized tools in the field. Since nearly every project manager uses SAP in some respect, this is a great source of information to visit. Webmaster World: Specific to IT, yet this forum site holds tons of information about project management and is filled with individuals who have specific skills. Great networking opportunity. WizIQ Project Management Community: This community and its forum is centered on online education and the WizIQ product. Students and teachers can share in dialogue and in the ability to teach and learn online.